There was a girl from church, Delores Ferguson who asked Darlene to sing at her wedding. Darlene didn’t know that the wedding appearance served as an audition. Delores' bridal party included her friends Gloria Jones, Fanita Barrett, and Annette and Nanette Williams, who had a singing group called the Blossoms. They were looking to replace Annette who had become pregnant. Jones remembered, “We sounded too pop and we wanted a lead singer with more of R&B sound.” (2) Darlene, in her last year of high school, fit the bill. After Darlene passed the audition at their manager’s office, she was invited to join the Blossoms. After a few months of rehearsals, their agent, Eddie Bill, booked them as background singers for a session with then teen-idol, James Darren on Angel Face followed by another session with Sam Cooke on Everybody Loves To Cha Cha Cha. More studio work followed as a result of their sound. “The Blossoms didn’t sound white but we didn’t sound black either. The magic of the group was that we could sound whatever way we wanted,” Darlene pointed out. (2) That put the girls in the background for Monster Mash by Bobby “Boris” Pickett, Rockin’ Robin by Bobby Day, Johnny Angel by Shelley Fabares and (Dance With The) Guitar Man by Duane Eddy. The Blossoms in 1966. Darlene Love, Fanita James and Jean King. The Blossoms had a few shots at becoming a headlining group. Three singles with Capitol as a foursome fizzled while their attempts at Okeh and Challenge as a trio went nowhere. The group hit the fork in the road. A strange and curious character, he soaked up everything around him like a sponge. He co-wrote the Ben E. King Top 10 hit Spanish Harlem with Jerry Leiber and also worked as a session musician, most notably playing the guitar solo on the Drifters' song On Broadway. He also produced Ray Peterson's Corrina, Corrina, which reached #9 in January 1961 and a major hit for Curtis Lee, Pretty Little Angel Eyes, which made it to #7. After returning to Hollywood, Spector produced the Paris Sisters I Love How You Love Me, a hit that reached #5. (5) Working with Lester Sill, he formed Philles Records and produced a few hits for the Crystals, There’s No Other (Like My Baby) and Uptpwn. By this time, Spector was the hottest producer in the business. In addition to duties at his record company, he produced Second Hand Love for Connie Francis. Enticed by a new opportunity, Spector took an A&R job with Liberty Records. While there, he heard a song written by Gene Pitney scheduled to be recorded by Vicki Carr. Recognizing a hit, Spector rushed a production of the song at Hollywood’s Gold Star studios. 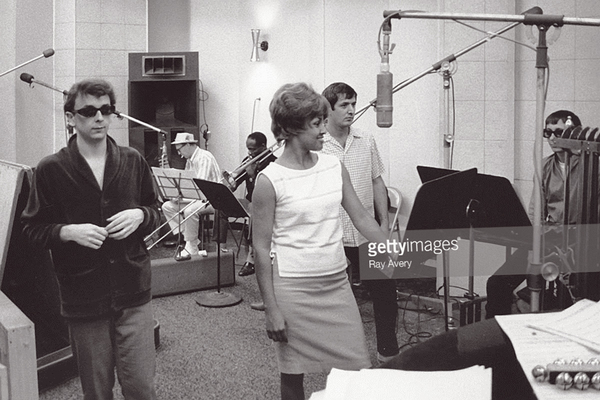 Phil Spector, Darlene Love, Sonny Bono and Jack Nitzche. Photo courtesy of Ray Avery of Getty Images. Learning a lesson dealing with the devious producer, Darlene insisted on her name credit or the Blossoms and a contract with Spector defining terms for the next song, Da Doo Ron Ron. She had to walk out of the studio mid-session to get it. She signed a contract and he immediately shelved the song. Eventually, the song was released but Spector, as a way to show Darlene he was the boss, wiped her vocals from the track substituting the voice of La La Brooks, the then-current lead singer of the Crystals and credited the song to the Crystals. While the song sat in his self-interred limbo, Spector called Darlene back with the other Blossoms (Fanita Barrett and newcomer, Bobby Sheen) for a remake of Disney’s Zip-A-Dee Doo-Dah. The song was credited to Bobby Soxx and the Blue Jeans. Knowing she had the deal with Da Doo Ron Ron and banking on Spector’s then golden touch, she agreed to do the song. Her instincts of Spector’s talent were on the mark. Zip-A-Dee Doo-Dah landed in the Top Ten in early 1963. The Barry Mann-Cynthia Weil songwriting duo penned He’s Sure The Boy I Love and was the next song on the Blossoms list. During the session, Spector told Darlene that this song would be the first one released with her name on it. Everything with him had a caveat. 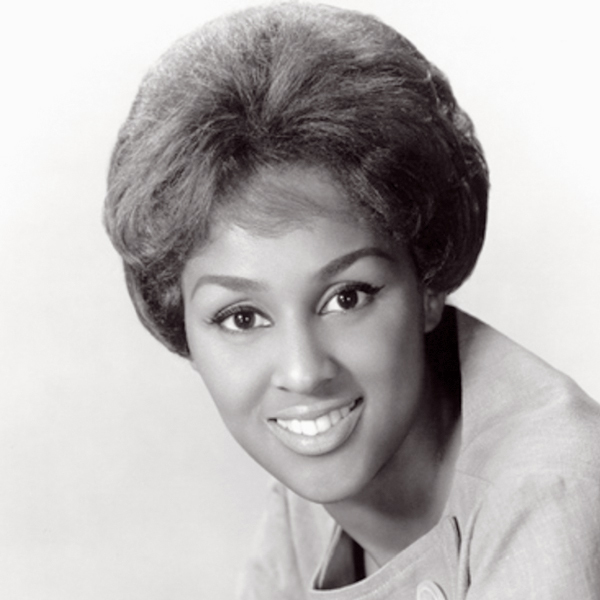 He didn’t care for the name Darlene Wright so he listed her as Darlene Love, a nod to one of his favorite gospel singers, Dorothy Love. “I knew the song was a winner. 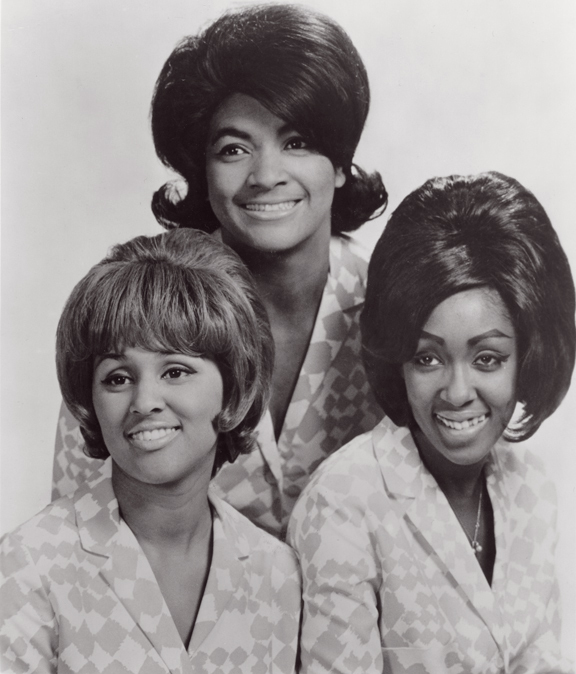 You could imagine my excitement the first time I heard He’s Sure The Boy I Love on the radio, eagerly anticipating the deejay announcing, ‘That was Darlene Love.’ The deejay did come on only to announce this was the new smash by…the Crystals, Darlene remembered. “I confronted him. I didn’t need reasons as it all added up to more money for him. He believed the established name of the Crystals following a smash such as He’s A Rebel would mean more airplay.” (8) Since he owned the Crystals name, he effectively cut Darlene out of her share of the royalties. Bound by contract, Darlene recorded (Today I Met) The Boy I’m Gonna Marry for Philles Records. Since Spector worked a deal with songwriters for credit (which meant a piece of the action every time a song gets played), he listed the song as the Darlene Love debut single. Of course, Spector had an ulterior motive. He had in mind a project for a rock and roll Christmas album and he wanted Darlene’s help. “I loved Christmas music and this would be the first time Phil let me have a say in what I would record. I picked White Christmas, Winter Wonderland and Marshmallow World,” Darlene stated. The album, A Christmas Gift For You, listed twelve traditional songs by the stable of artists on Philles Records and one original tune, Christmas (Baby Please Come Home), written by Ellie Greenwich, Jeff Barry and (of course) Spector. In a 2008 interview with Record Collector, Love talked about working with Spector on Christmas (Baby Please Come Home) "Phil worked everybody so hard on the album and the days kind of blurred into each other, thinking about it now. But there was a real Christmas party atmosphere in the studio, even though it was the height of summer, and a lot of great musicians were involved. They weren't that well-known at the time but so many of them went on to become famous in their own right, like Leon Russell. Sonny Bono and Cher were involved in a lot of the stuff too, so was Glen Campbell. We worked hard, though, some days we'd be in the studio for eight or nine hours just doing one verse of one song." 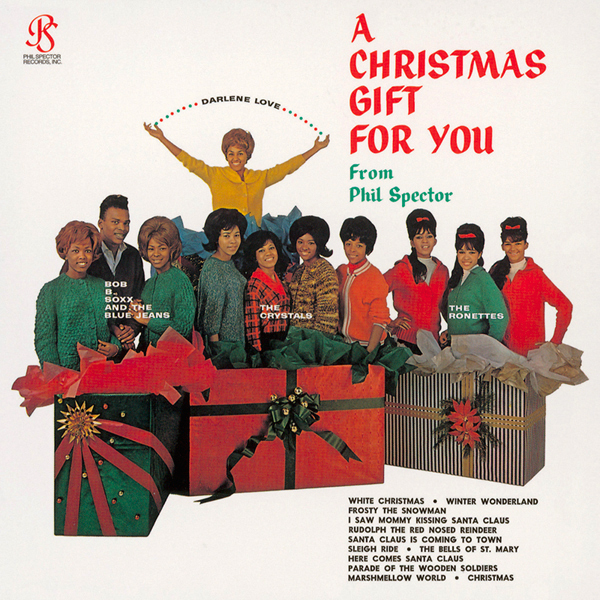 The recording credits for Darlene Love for Phil Spector include the two titles credited to the Crystals, three Billboard charters with Bobby Soxx and the Blue Jeans and six singles under her own name. Love and the Blossoms continued to work in Los Angeles after their work with Philles Records. They were regulars on Shindig for its two-year duration before touring with Elvis Presley in the early 70s. Darlene then sang backup for Dionne Warwick for ten years beginning in 1971. In an interview with CBS Sunday Morning reporter Anthony Mason, Darlene explained what happened after her time with Dionne Warwick ended. By the early '80s, with two children and her marriage collapsing, she needed to take another job as a maid. "I said, well, there's only one other thing I know I can do and I can do well: I can clean," she said. "And one year, cleaning this lady's bathroom, Christmas (Baby Please Come Home) came on the radio. And I just looked and said, 'Okay, I hear you Lord!'" she laughed, "This is not what I'm supposed to be doing, so I guess you're going to help me to get where I'm trying to go. And I never turned back." Love borrowed money and put together a show, which led to a two-year gig singing on a cruise ship. She appeared in all four Lethal Weapon movies beginning in 1987 portraying Danny Glover’s wife. Darlene sang Christmas (Please Come Home) annually on The David Letterman Show from 1986-2014. This is a mash-up of many of those appearances. 1) Love, Darlene; Hoerburger, Rob (2013). My Name is Love: The Darlene Love Story. Page 38. 2) Love, Darlene, Page 42. 3) Larkin, Colin (March 2002). The Virgin Encyclopedia of Popular Music. 4) Halberstadt, Alex, (2007), Lonely Avenue: The Unlikely Life And Times Of Doc Pomus, Page 131. 5) Wikipedia, Phil Spector, Link. 6) Browne, David, Rolling Stone, Darlene Love: Let Love Rule, June 20, 2013. Link. 7) Love, Darlene, Pages 66-68. 8) Love, Darlene, Page 82. 9) Love, Darlene, Page 93. 10) Love, Darlene, Pages 94-95. 11) Rolling Stone,The 25 Greatest Christmas Albums of All Time. 19 December 2012. 12) Mason, Anthony, CBS Sunday Morning, Darlene Love Spreads Christmas Cheer, April 20, 2012. Link. 13) Lynch, Matthew, Vanity Fair, An Oral History of Darlene Love’s Legendary Letterman Christmas Performances, December 19, 2014, Link. 14) Love, Darlene, Page 315. Photo courtesy of Darlene Love.